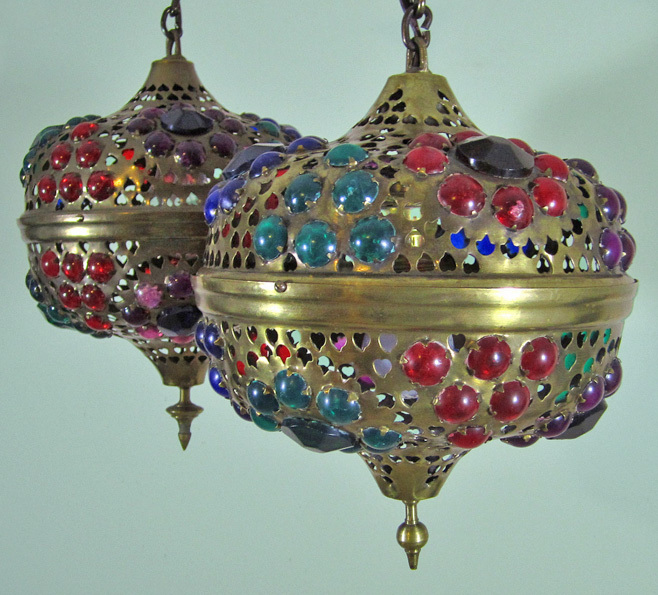 1950s DECO HAREM Moroccan style lamp w/JEWELS! 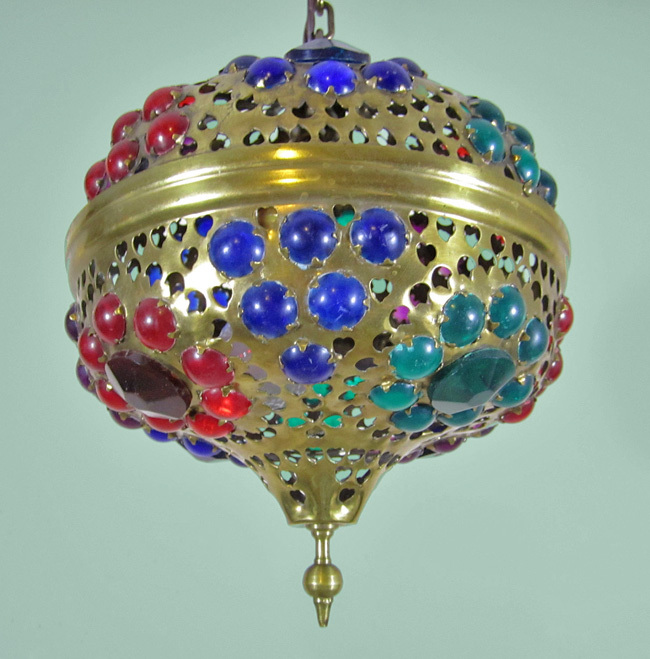 Dramatic Hollywood Regency Exotic Pierced Brass Hanging Moroccan Style Lamp! ADDS INCREDIBLE DRAMA TO A ROOM!! Hangs 23" Long overall!! 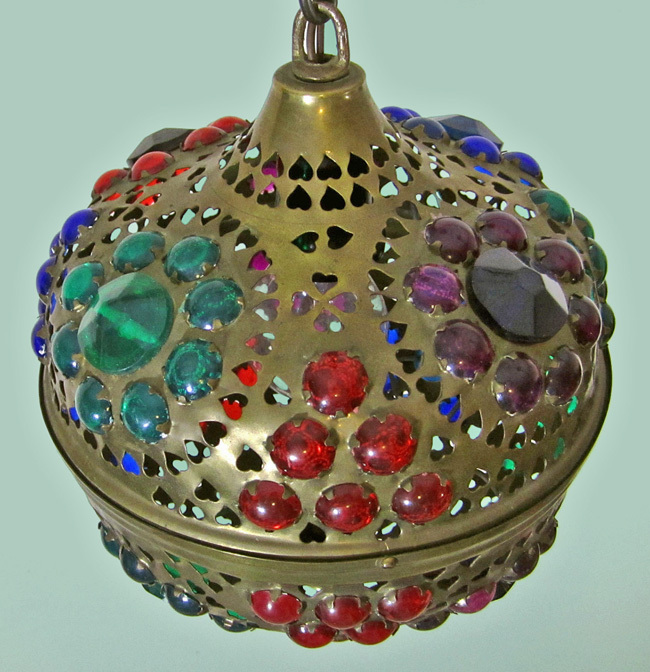 This is Lamp was collected in the Middle East in the 1950's, has an Art Deco onion shape! Quite an Unusual and Dramatic Piece, reminiscent of a Turkish or Persian Harem. as it has been electricfied, rewired, and is ready to hang! The Lamp has thick solid brass link chain & canopy. VERY good Overall Condition, has a darkened patina, which has a bit of polish residue and a couple of minor dings, has surface aging but is still in good shape for a Very old fixture. This lamp came from a Hollywood estate built in the 1920's and Originally having Moroccan Spanish Revival Decor, what might be called Mediterranean today. 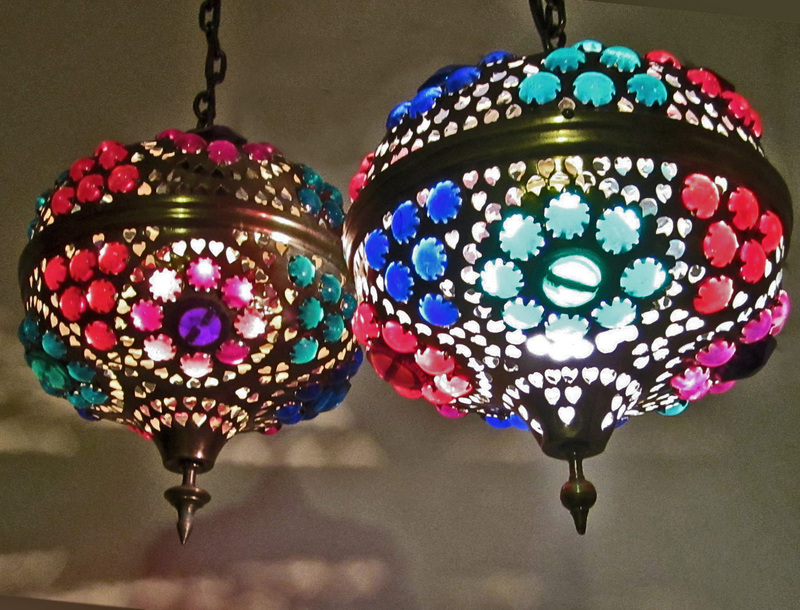 The collection has the Most wonderful Exotic Oriental and Moorish Lamps and Lanterns! A Fabulous Decorator Piece, with Historic Ambience as well. 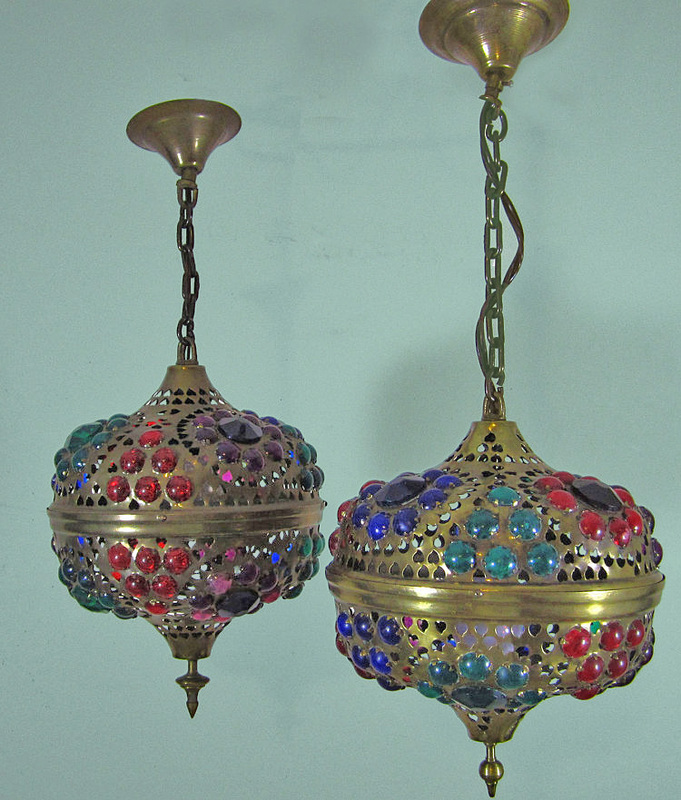 It would look Gorgeous with Moroccan, ART Nouveau, middle eastern, Egyptian Revival Decor also!! !